Basic Game Review is intended for simpler titles than say an RPG or an Open-World title. It’s to give you the gist of what the game is about because the first couple hours of the the game is more than likely the structure of the game as a whole. Zheros falls into that category. 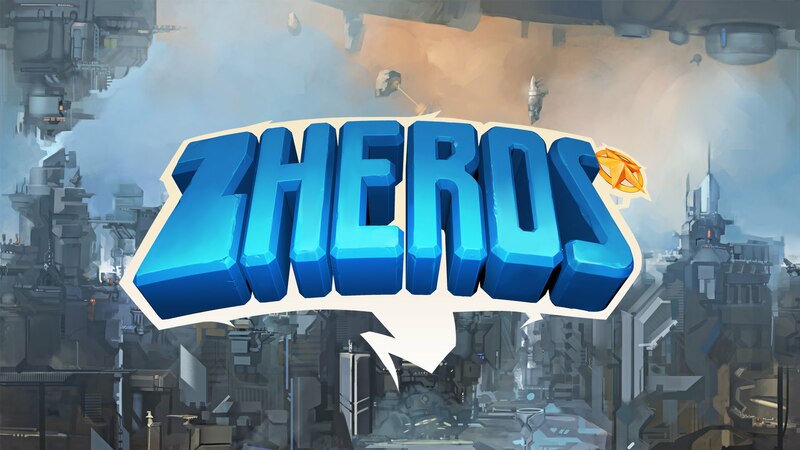 Zheros is a generically beautiful Sci-fi brawler that is only really exciting when there are two players on the sticks. If you play it solo it’ll feel more like a tech demo than an actual game. Zheros is a game starring a Macho Man and a lithe and flexible Female as they beat-up the robots of an evil genius. The story is told through small cutscenes that completely lack voiceover. There isn’t much to the story besides these two people that want to beat the crap out of a villain… so no worries there. Zheros contains some fantastic graphics with a Science Fiction backdrop. What you can expect is a beautiful brawler with fast and responsive combat. The combat is all about punching and kicking various robots in the face with a variety of combo strings and air juggles. Increasing talents will unlock more elaborate combos to perform on the various enemy types in the game. The backgrounds are dominated by constant moving parts like a rich Sci-fi skyline. The combat in the foreground tends to be a bit too moderate in comparison. When playing alone the characters tend to face off against a small amount of opponents in short waves. The robots take a lot longer to dispatch and the combat becomes tiresome even after only an hour of play. When playing solo, the enemies lack the aggression we’re used to in older more rambunctious 2D brawlers. Once another player has stepped up to bat, the game changes to a hectic brawl of life and death. Players will be on their toes constantly as they face endless waves of enemies. The combat bumps up significantly with two-players and it’s usually a battle of attrition to try and survive. It’s much more thrilling to play cooperatively as the enemies tend to keep the players on their toes. I have two things I don’t like about cooperative play. First, it’s only local-coop and since this is the best way to play the game… it’s a strange omission. Secondly, the only way to obtain talent points is to pit the players against each other. The player with the highest score earns the most RP and the player with the lowest score earns none. This stops the second player from earning skills to increase their combos and damage, which in turn makes that player weaker in the long term. This is counterintuitive to a cooperative style of play and is damaging to them team dynamic. Finally, the solo game is all about short bursts of combat in rather boring environments that don’t look much different from the last. However, once two players are involved in the brawl the background disappears among the waves of enemies trying to destroy you. To be honest, Zheros is a game that can only truly be played cooperatively. Playing this game solo is a bore, but with two players you’re in for a dangerously fun experience. Since the game is local play only though, I’d wait for a sale unless you have a friend that’s always on hand.